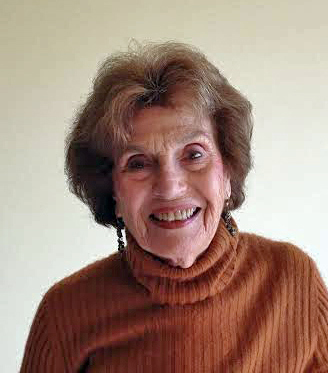 Eleanor Rubin is in a unique position among MRT congregants because she is the chair of two different committees – Adult Education and Israel. In seeing first-hand Eleanor’s active involvement in these two positions, I was eager to learn more about her life and previous involvements. Eleanor initially became interested in MRT by attending the Arts Festival. MRT’s welcoming environment, the ambassador program, our clergy, and programs offered all contributed to Eleanor becoming a member in 2011. Eleanor was an elementary school teacher in Livingston, NJ for several years. Wanting to become more involved in Jewish areas and activities, she received a Masters Degree from Seton Hall University in Judeo-Christian studies. Her thesis research was to examine different religious communities’ responses to the needs of the elderly. Her finding was that the Jewish community was far ahead of other religions in providing eldercare, and since then this has been her focus. In the mid-1980’s Eleanor helped start the National Association of Geriatric Care Managers. These managers assure that their elderly clients and families properly receive the medical, legal, social, safety and home care services needed for a better quality of life. Eleanor’s proudest accomplishment was being the local chair of the National Council of Jewish Women. The primary goals of this organization are social justice and concern for the safeguarding of rights and liberties for women, children and families. Eleanor feels her most interesting achievement was serving as president of the Jewish Federation of Central NJ in the early 2000’s. After the Federation received an $18 million endowment, Eleanor and her staff helped steer much of that funding to businesses in the developing Negev region of Israel, where obtaining standard loans was quite difficult. And, during her time as president, she also greatly increased home and hospital visitations provided by the Federation. 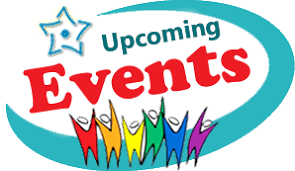 Adult Ed – to provide a variety of interesting and educational events for congregants and members of the community of all ages – through discussion, film, lectures, music – and to include more morning and afternoon programs so that those who prefer daytime programs can find it easier to attend. Israel – to provide reliable and knowledgeable information to congregants about both the successes and challenges of daily life in Israel. Eleanor is able to provide personal insights as her son and daughter-in-law have lived in Israel for 30 years, along with 5 of her 9 grandchildren and both her great-grandchildren. I am very glad for two things – that I got to learn much more about Eleanor Rubin and that she is a talented and valuable member of our MRT family.